UNIFORM GROUP has been the principal supplier of uniforms to Westlake Girls High School for 10+ years. The Directors, Adele and Ross Gordon are both very contactable people and demonstrate a genuine interest in their business. They understand what school business is all about and how important meeting the critical delivery dates is to schools combined with the offer of a quality product at competitive pricing. Westlake Girls has enjoyed an excellent relationship with and I have no hesitation in recommending their product and services! 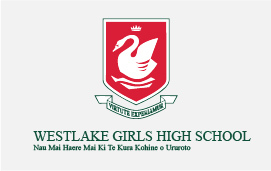 UNIFORM GROUP has been the principal supplier of uniforms to Westlake Girls High School for 10+ years. The Directors, Adele and Ross Gordon are both very contactable people and demonstrate a genuine interest in their business. They understand what school business is all about and how important meeting the critical delivery dates is to schools combined with the offer of a quality product at competitive pricing. Westlake Girls has enjoyed an excellent relationship with and I have no hesitation in recommending their product and services! prices ensured they played a pivotal role in the introduction of the Service’s new uniform issue. – Develop an appropriate replacement uniform range consistent with the Service’s new visual identity. – Meet the Service’s expectations on uniform item quality and cost. Has resulted in the continuation and strengthening of this relationship. 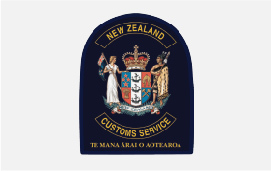 I am more than happy to confirm New Zealand Customs Service enjoys an excellent relationship with UNIFORM GROUP and I have no hesitation in recommending their services to others. During the past two years we have engaged the services of UNIFORM GROUP to rationalise, supply and manage our uniform stock. This has worked very well for us. One of the initial key tasks undertaken by the UNIFORM GROUP management was to ensure that our uniform was a standard colour across all items and that our logo was sized to match the garment. This involved the sourcing of new fabrics for some uniform items and also introducing new options such as polar fleeces for the junior students, new light weight PE uniforms, and a Campus tracksuit. 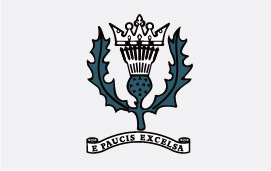 From day one, UNIFORM GROUP have at all times displayed a very professional approach to their supply of uniforms and always met with and kept our management group informed of suggested changes and enhancements that could be made. They have been tireless in their efforts to set a very high standard in the presentation of our students. Ross Gordon and his team were instrumental in arranging a photoshoot of our students in uniform so that the photos could be used to promote pride and personal presentation amongst our students. Although they do have an Inventory Control system available, we were able to use our in-house accounting package to control stock, and this has meant major enhancements with re ordering and general stock control. UNIFORM GROUP assist in forward planning of stock, and have been able to hold excess stock in their warehouse for us during busy times. Pricing of uniform items is very competitive and we are able to feel confident that we are being offered our stock at a fair market price. UNIFORM GROUP was responsible for the research, investigation and instrumental in initiating a ‘Commercial Partner’ for the New Zealand Olympic Committee specifically covering the Youth Olympics Singapore 2010, Commonwealth Games Delhi 2010 and London Olympics 2012. Because the partnership was formed in late 2009, UNIFORM GROUP had fast track development for fabric, styles, colours, branding, delivery processes to meet our delivery dates of 2010. 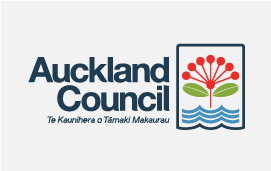 UNIFORM GROUP has a longstanding association with New Zealand Olympic Committee commencing with the 1992 Barcelona Olympic games to present and we are confident they understand and can meet our needs totally. 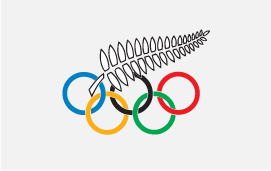 New Zealand Olympic Committee has benefited hugely by partnering with UNIFORM GROUP and allowing them to utilise, knowledge, vast sourcing capabilities, quality control, logistical management, dedication to supplying a quality product and always being conscious of ‘timelines’ and ‘value for money’. An example of this is last months Commonwealth Games, UNIFORM GROUP packed over 12,000 items over a 2day period for distribution throughout New Zealand and prepared freight for consignment to Delhi. I recommend UNIFORM GROUP to the Department of Correction as I am impressed by their capabilities and have no doubt of their commitment to projects and their ability to match a structure to meet your expectations. They are a scalable organisations. When the team at UNIFORM GROUP explained to me the partnership they are wanting to enter into with the Department of Corrections, I saw some significant similarities between you and the Olympic and Commonwealth Games teams. Our uniforms are extremely important to both of us, we both have an extremely wide variety of team members that we have to provide high quality, technical uniforms. In a nutshell neither of us are your usual uniform project. It is because of these similarities that I have no hesitation in strongly recommending to you to partner with UNIFORM GROUP. They are dedicated, smart and a highly capable organisation. Trust, provides a full boarding school education for 550 boys from disadvantaged backgrounds. Amongst other things, we provide all items of school uniform free of charge, and retain the services of a staff of eight full time employees to maintain this investment. 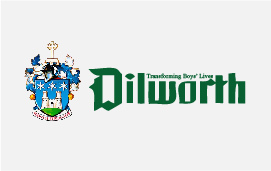 Since 1998 UNIFORM GROUP has worked closely with Dilworth, first on the development of a new uniform, and then as a supplier of all uniform items from regular day wear to formal blazer, shirt and tie attire for special occasions. 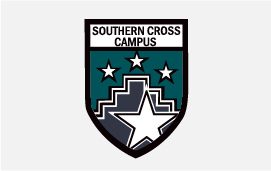 Obviously, the investment made by the school is considerable, and we have continued our business arrangement with UNIFORM GROUP to date because of the outstanding service we have received from their senior staff. UNIFORM GROUP has been a responsive and thoughtful provider. They work in well with our staff, and demonstrate a commitment to the business and service relationship that is of a consistently high standard. 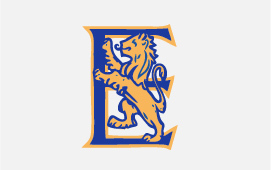 As a significant Independent School, we take pride in the appearance of our students, as well as being careful with the management of own financial resources. In this context UNIFORM GROUP has been an ideal partner. They have a keen sense of economy, giving excellent value for money, whilst never compromising on quality, thoroughly responsive to our needs and wishes. We remain completely pleased with the design and manufacturing of our new school uniform and are delighted with the assistance your staff provide us. Our new Uniform continues to proudly reflect the aims and aspirations of Glendowie and its community. Your contribution is valued and appreciated. the management and storage of a uniform library for use by our temporary cadet programme. We have built up an excellent working relationship with UNIFORM GROUP. Their expertise and advice on our needs, that are as diverse as Park Rangers and the Harbourmaster, is a vital ingredient in presenting the right image for our front line people. As a result of our own experience of UNIFORM GROUP we can unreservedly recommend them to any prospective business partner. 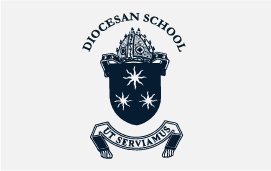 Diocesan School for Girls has worked closely with UNIFORM GROUP since 1995 when they successfully tendered for the manufacture of the School’s new uniform. The various garments comprising the uniform have been of the highest quality in both fabric and manufacture. The service provided by Ross and Adele Gordon and their staff, has been very helpful and they have often gone far beyond their contractual brief in their dealings with us. I have no hesitation in recommending them as a most professional company to deal with. whether it is stock maintenance, design or special requirements. Their company’s deliveries are always prompt and reliable. I am therefore pleased to recommend UNIFORM GROUP to you as an excellent supplier and manufacture of school uniform. Representative and also as a wearer of our uniforms. During this time we worked collaboratively with UNIFORM GROUP to develop the Departments corporate image through the design and management of uniform for both office and field staff. The Uniform Library, or recycling of uniform, was and still is a cornerstone for cost effective supply of uniform to staff. The UNIFORM GROUP set up the recycling of uniform at our request and as far as I am aware the management and administration of this system has been hassle free for users. UNIFORM GROUP set up effective systems for dry cleaning, handling, repairing and assessing the reuse of uniform items which has resulted in maintaining a professional product and image for the Department. 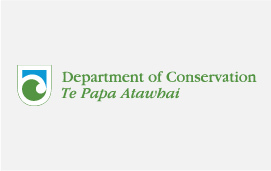 It has also demonstrated to staff and the public that we are accountable and conscious of costs and just as important, we are a lead agency in recycling and sustainability. In terms of selling the concept of recycling uniform, staff brought into the process straight away because of the obvious message it conveys and because all items are sanitised to a high standard and each item reissued is of an equally high standard and in good condition when they receive it. UNIFORM GROUP were keen to accommodate our requirements when setting up and managing the recycling of our uniform and a very good company to deal with.